How to book a cabin on any S.S.S.L. Ship! 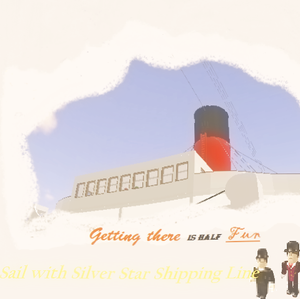 Booking for a S.S.S.L. voyage is extremely simple. To reserve for a voyage, private message AricSharpknight requesting that you'd like a room aboard the next voyage. You'll receive a confirmation message saying you've officially been put on the manifest! Reservations may only be taken for the upcoming voyage; you may not ask to reserve a room for a future voyage. S.S.S.L. voyages are ALWAYS free unless you want extra perks on the voyage such as a private suite and access to the entire ship, so the message is all you need to do! If you have any questions, feel free to message AricSharpknight.